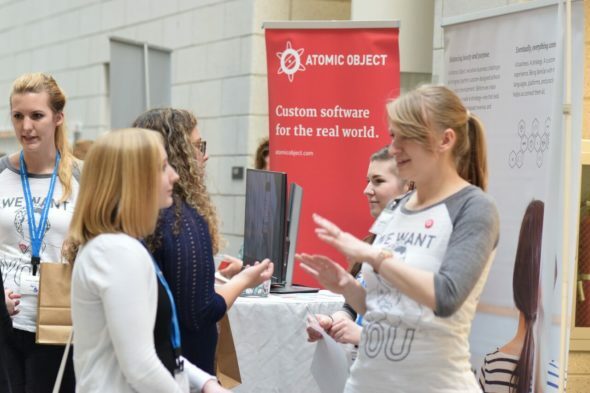 Recently, Atomic has been talking about what we can do to support our women developers and continue to increase our gender diversity. In addition to recruiting from the next wave of awesome new graduates coming out of our local schools, we’re also looking for ways to connect with other women developers in our area to share experiences and ideas. In previous years, one way we’ve pursued these goals was participating in the Michigan Celebration of Women in Computing (MICWIC). I’d also personally been attending—and thoroughly enjoying—MICWIC as a student since 2013. When the opportunity arose for Atomic to support MICWIC again in 2017, we jumped at it. MICWIC 2017 brought seven Atoms to Michigan State’s campus in East Lansing for a weekend of bonding, learning, and networking. Four Atoms attended the whole conference, and three more joined us for the career fair. Those who came to MICWIC as attendees heard from an awesome lineup of speakers about their experiences and careers. I gave a talk about handling harassment and sat on a panel about working in the industry. It felt great to share the things we’ve all learned with other attendees and to hear from our fellow women at various points on their career paths. 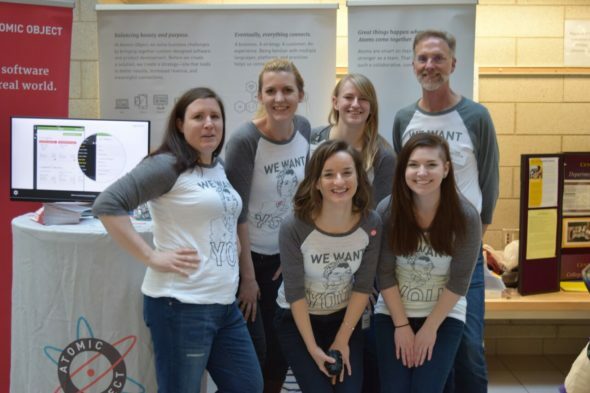 When Carl and I started discussing what our participation in MICWIC would look like this year, one benefit we didn’t want to underestimate was the value of giving women Atoms the chance to just…hang out. Atomic’s number of women has increased a great deal over the years, and although we’re very excited to see the growth, our greater numbers and busy lives mean we don’t get a whole lot of opportunities to gather together. The handful of us who went to MICWIC got to enjoy each others’ company and spend some time together outside of work. For some of us, it was the first time we’d done anything outside the office as friends. And, you know, work’s more fun when you’re working with friends. One of the things I really love about MICWIC is its focus on students. It’s very accessible to undergrads and places a great deal of emphasis on connecting students with industry and graduate-level academia. When I attended as a student in 2013 and 2015, I learned a great deal about the field from women who were further down the path than I was, and their support gave me the encouragement that I needed to keep pushing through in a very difficult degree. Coming back in 2017 as an industry professional gave me the opportunity to pay it forward. We knew going in that we’d be recruiting for the Accelerator, but we also wanted to take advantage of the opportunity to connect with senior women developers. 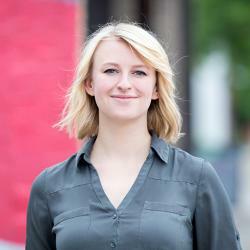 Right now, Atomic’s women developers are all at the junior level, career-wise. Although there is a lot to learn from the seniors within our company, we’d like to find mentors who we can relate to in both the technical aspects of our careers and the challenges of being minorities in the field. Software development, like many technical careers, has a serious gender retention gap, which makes finding technical mentors who are women very difficult. At MICWIC, we got to hear talks from, and connect with, senior technical women from all over the state. It was very much a breath of fresh air, after having spent so much time seeing nobody who looked like me up ahead on the career path. We had a great time, we met some amazing women from all over Michigan, and we can’t wait to attend again in two years!